The Young Dragons section is currently coached by six Level 2 Qualified Coaches, a large number of Level 1 Assistant Coaches and many experienced adult and young leader helpers. Norwich Dragons is proud to be a Learning Destination for Norfolk’s Children’s University, click the logo above for more details. 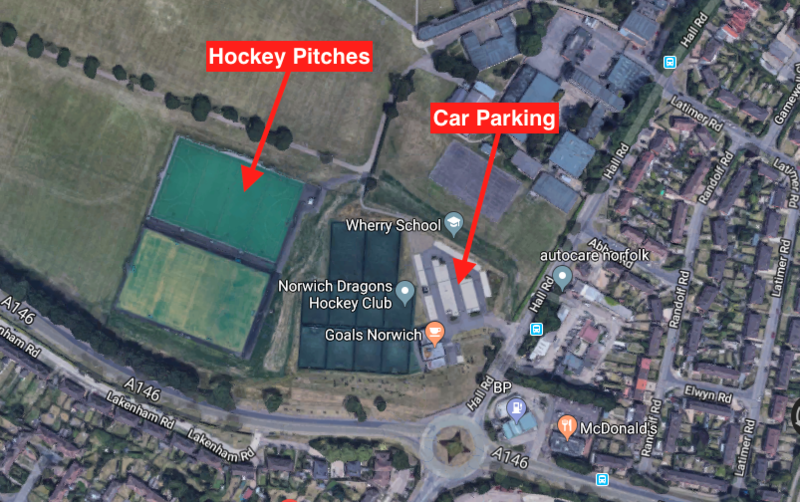 Norwich Dragons Youth section under 8s, under 10s, under 12s train weekly during term time and enter all local tournaments throughout the year. All ages and all standards are very welcome. Girls and Boys Development teams (see age criteria below) enter the Norfolk Development Leagues, playing fixtures most Saturdays, see Girls Development page here and Boy Development here. We encourage and support our older youngsters to volunteer as part of the Duke of Edinburgh Awards scheme, however we do insist on full commitment from those volunteers to ensure they take responsibility for their volunteering and to follow our DofE requirements shown here. Development league – year 8 and above up to under 15 on 1st January in that season and under 16 beginners. Dev – Annual Subscription of £60 plus £5 per match. U18 playing in adult teams – Annual Subscription of £60 plus £6 per match. You have rights: Sport should be fun. You should feel safe and enjoy your sport. You can’t do this if you feel unhappy, if someone is bullying or abusing you. Does anything that makes you feel lonely, upset, worried, unsafe, hurt or embarrassed. If you have a concern that relates to a child and one that requires an immediate response you need to call the emergency services 999. 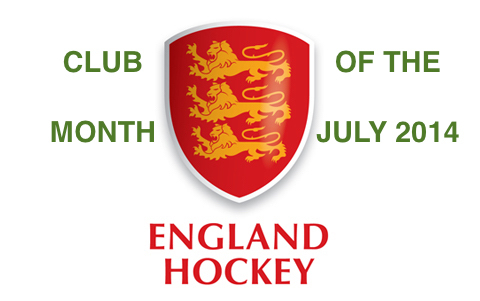 For all child protection or poor practice concerns these must be reported to your Club or Organisation Child Welfare Officer who will report the concerns to the England Hockey Lead Child Welfare Officer. If your Club or Organisation Child Welfare Officer is not available them please contact the England Hockey Lead Child Welfare Officer to report your concern. 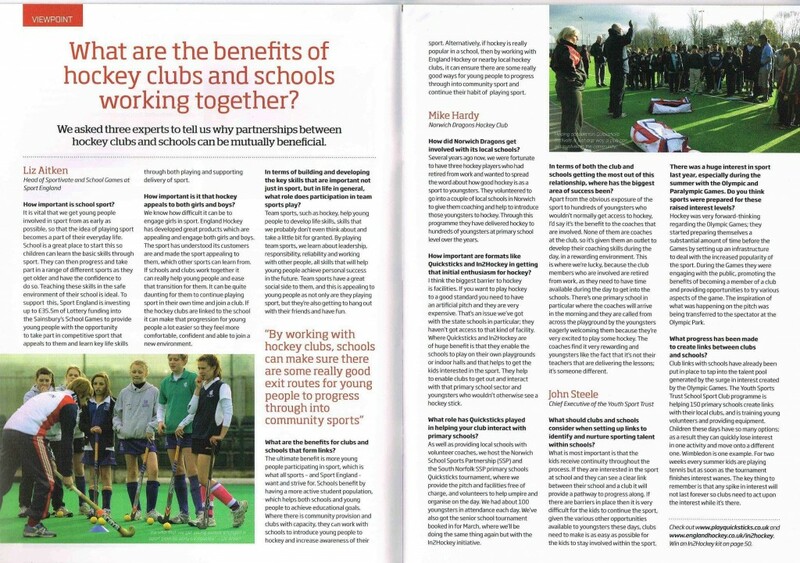 England Hockey Lead Child Welfare Officer. NDHC believes it is never too early to introduce hockey to youngsters, particularly in an area that has little or no ensure to hockey currently. Thanks to the volunteering work of Hazel Medler, John Butler and Mike Banham, hundreds of school children in the Hewett School catchment area are being given hockey lessons using the Quicksticks equipment purchased through the Norwich School Sports Partnership.